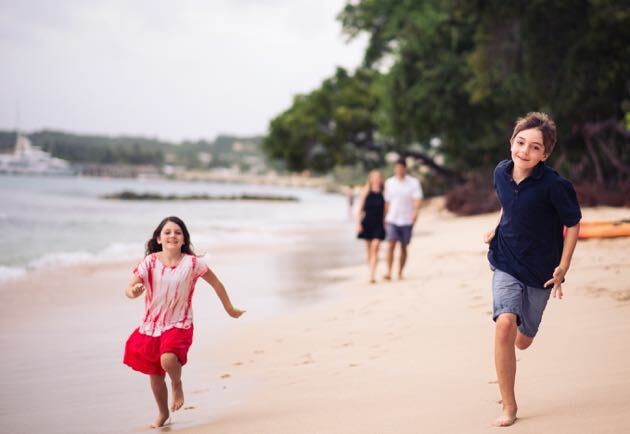 Activities for Kids: What’s great for kids to do in Barbados? When choosing a destination to travel to with a family, you of course have to think about if the country will have decent activities for your children. Not activities that they can easily do at home, but something different that they can enjoy so they can take home stories and tell their friends. Even if you’re a local, sometimes you’re looking for something great for and with your kids on a weekend for them to relax after a long week at school. 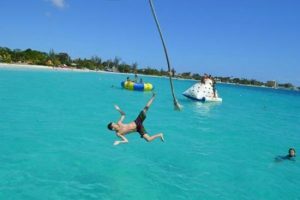 Barbados has many, many activities for children so no more headaches wondering what fun filled activity to do next. So many beaches, so little time. Barbados possesses some of the most beautiful beaches in the Caribbean so make sure that before you leave that you visit a few. The west coast beaches tend to be much calmer so these are most ideal for kids. The beach is great for children as they can always find something do: build sandcastles, swim, picnic, you name it. This will not only expose your children to underwater life like they have never seen before, but it is sure to be a totally unforgettable experience. It’s the closest you can get to the fish without snorkeling so no need to worry about getting wet and having to clean them up afterwards. Exploring this great tropical forest will leave your kids fascinated at the tropical plants, rock formations and caves on view. There are benches in the forest where persons can sit and relax and maybe have a picnic. 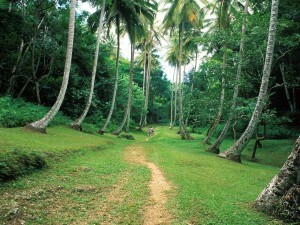 And, get your camera ready because you are sure to spot a Barbados Green monkey running around! 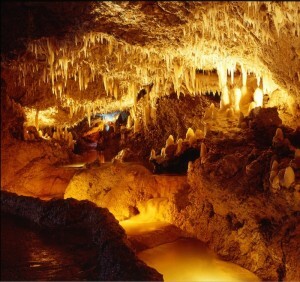 Speaking of caves, the plethora of stalactites and stalagmites on view is sure to capture your children’s imagination. The will be able to explore the cave in electronic trams and be up close and personal with the natural beauty of the caves. 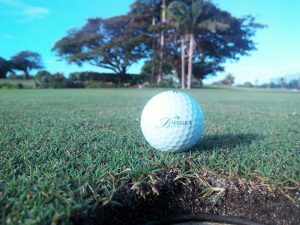 At almost every miniature golf course you are sure to see a family with many kids playing and having fun. That’s because mini golf is an activity that allows the children to really enjoy and flex their competitive muscles and maybe even see if they can beat their parents at something! 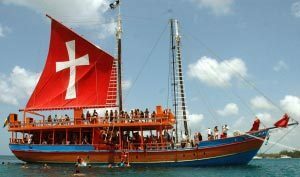 Visit Barbados’s very own pirate ship and your kids can enjoy the adventure of a lifetime. 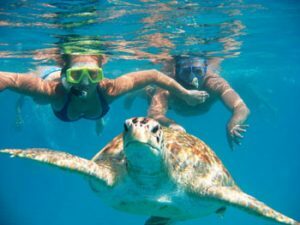 Children can swim with the turtles, be entertained by the ship’s captain and shipmates, jump off the rope swing or walk the plank. Don’t worry adults, you can try this too! Spend an entire day riding around at the back of an open back 4×4 land rover and see the island like no one has ever shown you before. The Rovers are very comfortable and the tours are a lot of fun so there is no risk of your children getting bored. 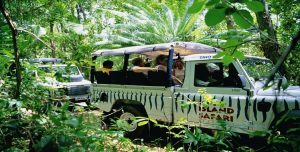 There is also the option of a Land & Sea Safari. 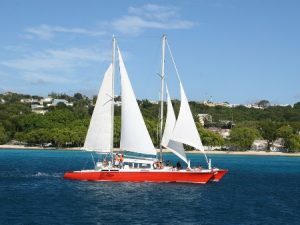 Barbados has a wide range of Catamaran services so there is no shortage to choose form here. This activity will guarantee a day of fun and sun for the whole family. 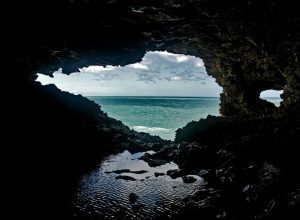 Located to the north of the island, this cave offers awesome views of the coastal scenery, but its main attraction is the sea anemones that can often be seen in the cave. If you visit the island in February or March, you may be able to see whales passing in the coast below. 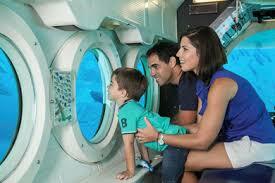 Maybe after travelling on the Atlantis Submarine your kids have decided they want to see all the underwater life closer. This is no problem. 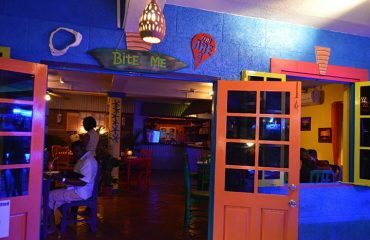 There are many child-friendly dive shops on the island and as long as they can swim, they will be able to get up close and personal with the underwater life in Barbados. This is very popular with touring and local families. Experience a wide range of water sport activities including swimming form the rope, the glass bottom boat experience and jet skiing (if available) at this water sport haven. What child doesn’t want to fly a plane? This experience is ideal for those children who wish to live out this fantasy (virtually of course). 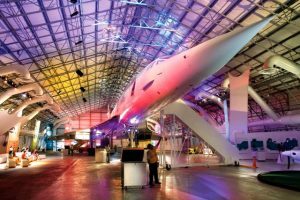 Children absolutely love the Barbados Concorde Experience so make sure to head up Christ Church while you are in Barbados so that your children can experience this once in a lifetime opportunity. 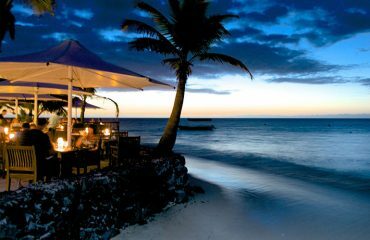 Therefore, as you can see, Barbados is a child’s very own paradise. No need to worry about not finding enough for them to do and enjoy while on vacation because there is no shortage of things to do. And the best part is that you the parent get to enjoy every second of their little adventure with them!